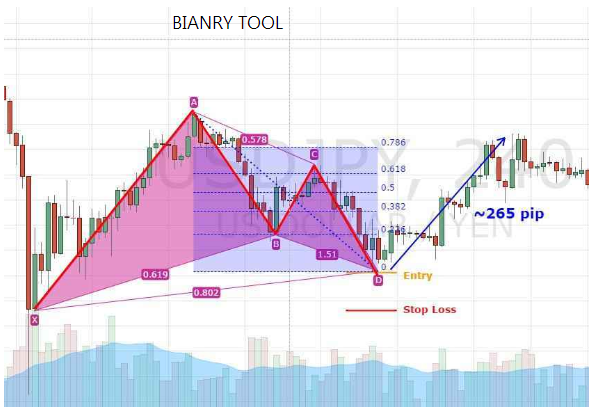 The popular Fibonacci Gartley pattern is used as a reversal detection signal not only on forex but on all kinds of financial instruments. 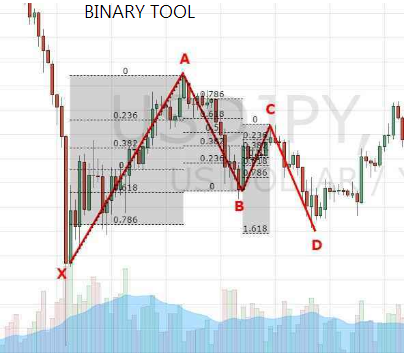 The inventor, H. M. Gartley introduced this Fibonacci pattern signal method on page no. 222 in his book "Profits In the Stock Market", from which the term Gartley222 also becomes an alternative reference. At first glance, the pull of the Fibonacci Gartley pattern line is similar to the letter "M" on Gartley bullish reversal or the letter "W" on the bearish reversal pattern. Keep in mind that the tops and bottoms in the first wing are always "sharp" (higher highs and lower lows) than the second wing. This indicates a tug-of-war between buyers and sellers who are getting weaker (converged) and most likely will lead to a reversal in which one party manages to dominate the market. On the Fibonacci Gartley Bullish pattern, buyers will dominate the market after being briefly pressed by the seller, and Gartley bearish instead signals a reversal from the Bears after being pressed by the Bulls. The Gartley pattern relies on precision on the appearance of the signal, because each leg (line leg) has its own criteria. The consequence, although basically the pattern can be used in all time frames, but if there is too much noise on the market, the Fibonacci Gartley pattern will be very difficult to find. Leg XA is withdrawn from the lowest price of a period to the nearest highest price. XA is always the first and longest leg. AB legs are pulled from the previous high foot price to the next low price. AB is a retracement of (ideally) 61.8 from Leg XA. BC feet are a retracement between 38.2 to 88.6 from AB. The high foot price of BC (in bullish Gartley) may not exceed the high price of the AB foot. Likewise the low price on Gartley bearish. The CD foot retrace by 78.6 from foot XA. Low price CD feet should not be lower than XA feet. The accuracy of the Fibonacci gartley pattern signal will be better if the AB and CD feet meet the Fibonacci AB signal criteria = CD. 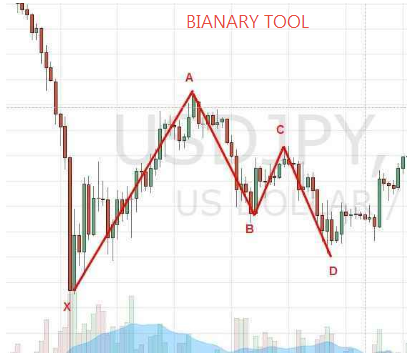 Furthermore, there are two examples of Fibonacci gartley patterns at two different time frames. The Fibonacci pattern signal is quite accurate if all the legs have really met the requirements. Therefore, avoid signals from patterns with criteria that are forced or do not meet the requirements. The entry position will generally be a few pips from the point D position as the last leg. 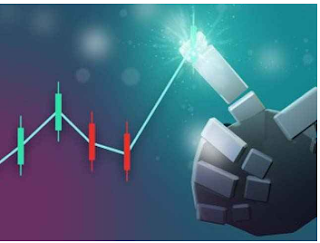 It is recommended to use pending orders so that orders are executed only when the price movements have actually touched the limit / stop order line. If you use an instant order (so as not to miss a moment) then you can confirm a buy / sell order until the price is a few pips from point D.
In the first pattern (table 01) the Stop Loss position is placed only a few pips from the initial foot point X because at the assumption that the foot XA is the highest representation of volatility in that period. In other words, if the price still has time to move beyond the point X, then it is better to cut-loss (cut losses) than to risk holding the position even longer. As for Take Profit, you can draw Fibonacci lines at points A to D. Use multi TP with a lot sharing system at Fibonacci points 0.38 to 0.78. If you only want TP then look for the safest TP position (between points 0.3 to 0.5 Fibonacci retracement).